Officers are elected by the membership at the Annual Meeting in September. Day to day business is conducted through a Board of Directors which meets approximately four times a year. Daniel studied geology and environmental science for his undergraduate studies at SUNY Potsdam. 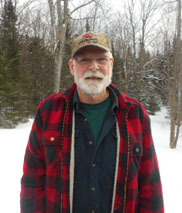 His first job was New York State Department of Environmental Conservation’s first professional naturalist at the Rogers Environmental Education Canter at Sherburne. From there he became the Director of the Cayuga Nature Center, a 100 bed residential facility near Ithaca, NY. He was then promoted to be the Executive Director of Centers for Nature Education. He received a degree in Environmental Leadership from Empire State College. He co-founded Worldscope, Inc. with a subsidiary of Progress Associates with his wife, Linda McLyman. The business delivers leadership training for over 350 natural resource organizations and agencies located throughout the United States, currently in its 35th year. He and his business partner, Linda McLyman taught 15 semesters of graduate courses in Environmental Leadership at Michigan State University. Daniel served in the Army Reserves for seven years, spent 30 years as Explorer Advisor, Cubmaster, Scoutmaster, etc. with the Boy Scouts, founded a social/service fraternity (The Order of Prometheus) which just had it’s 50th reunion, and currently is the secretary for Madison County, Town of Lebanon Planning Board. He served as the Vice President of the American Wildlife Conservation Foundation before being elected to his current position as President. Hi AWCF members. I am very pleased to take on the Vice President position. I was a member for a few years back but had to give up some volunteer obligations as my career and other commitments reduced my “free” time. Now that I’ve been retired for 5 years I can rejoin and be much more involved.I look forward to continued involvement with wildlife research and education, and to the comradeship of being a member of such a worthwhile organization! My academic career included a B.S. in wildlife from Cornell University ’74 and a M.S. in Forest Zoology from College of Environmental Science and Forestry in ’79. My thesis was on population indexing of the eastern coyote. My professional career consisted largely of 30+ years at Cornell’s Dept. of Natural Resources as a Senior Extension Associate. Over the years I did education and research in a wide variety of topics including wetlands, wildlife habitat management, 4-H youth, deer management and impact on forest regeneration, and woodland management for private non-industrial forest owners. My longest and most rewarding position was director of the NY Master Forest Owner Volunteer Program for 20+ years. I have retired to Lake Placid, close to my childhood hometown of Westport, NY where I still have friends and family. My volunteer involvements include: 4-H Shooting Sports, NYS DEC Hunter Education, Master Forest Owner Volunteer, Agr. Program board member of Cornell Coop. Ext. of Essex County and Northern Adirondack Chapt. of NY Forest Owners Association. Recreational pursuits include hunting, fishing, hiking, kayaking, x-c skiing and golf. 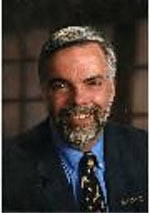 Dr. Paul D. Curtis, Professor, Department Extension Leader, and Coordinator of the Wildlife Damage Management Program for Cornell Cooperative Extension, Department of Natural Resources, Cornell University. Dr. Curtis is a professor in the Department of Natural Resources at Cornell University, and he has coordinated the Wildlife Damage Management Program for the College of Agriculture and Life Sciences during the past 29 years. His research interests include human-wildlife conflicts in suburban, forested, and agricultural landscapes, wildlife fertility control, and resolving community-based wildlife issues. He currently supervises research projects dealing with white-tailed deer, colonial waterbirds, urban goose management, and bird damage to fruit crops. His extension programming has included a variety of wildlife-related booklets, videos, and fact sheets. He is a co-author of the National Wildlife Control Training Program books and online course. Dr. Curtis also helped develop the Internet Center for Wildlife Damage Management, and he is a Certified Wildlife Biologist with the Wildlife Society. Dr. Curtis has authored/coauthored more than 75 journal articles and several book chapters. Much of his research has dealt with community-based wildlife management, especially associated with white-tailed deer and Canada geese. 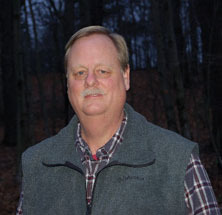 Dr. Curtis has served as a consultant, advisor, or contractor to several agencies including the NYS Department of Environmental Conservation, US Fish and Wildlife Service, USDA Wildlife Services, Cleveland Metro Parks, and the Department of Defense. He was the founding chair of the Wildlife Society’s Wildlife Damage Management Working Group, and served as a board member on the Urban Wildlife Working Group. He has also collaborated with faculty and staff from the Invasive Animals Cooperative Research Center at the University of New England in Armidale, Australia, during the past few years. Dan is the treasurer in AWCF from 2018 to present. He is a graduate of Environmental Science and Forestry Ranger School in Forest Technology and ESF's Environmental Science Program at Syracuse University. Dan has worked in the Foresty field and the Environmental Education field as a Naturalist. He has always had a great love for the outdoors and conservation of the environment. 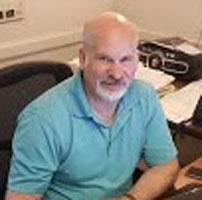 He currently lives in Union Springs, NY and is working at Wells College as the Director of Information Technology.